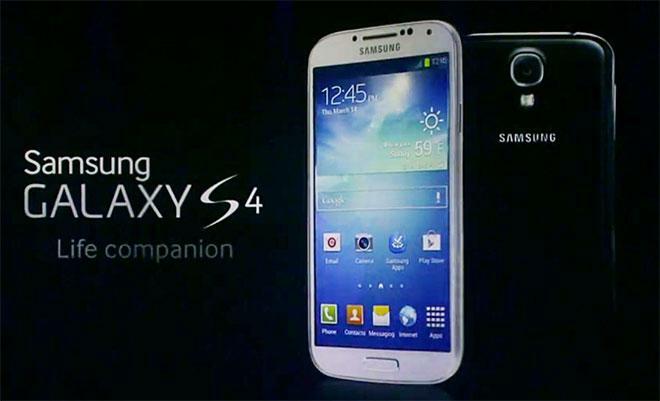 Samsung's Galaxy S 4 launch appeared poised to leverage Android to further distract the public's attention from Apple's iPhone. Instead, the company appears to have created its own apps and services to distract away from Android. Samsung's latest product launch aspired to beat Apple at its own game of theatrical showmanship, sparing no expense to deliver a media blitz following the pattern of Microsoft, HP and, most recently, Sony. But while it focused attention on being "an Apple," what Samsung didn't say is perhaps the most notable aspect of the event: Samsung made virtually no mention of the Galaxy S 4 being part of Google's Android platform. Ever since Apple announced plans to stop participating in the January Macworld Expo in 2008, the first part of the year through the spring quarter has been the best time to shine for Apple's competitors in the smartphone industry. Samsung's Galaxy S 4 launch event appears timed to coincide with Apple's historically quiet season for iPhone. If it seems like all the "Apple is doomed!" rhetoric just randomly showed up out of the blue from 1997, it's only because the world has forgotten that Apple's iPhone shipments have always flattened out in the spring quarter as anticipation of the next model begins to build. This occured so intensely in 2009 that there were actually predictions that Apple would crash and burn back then, even though in retrospect the company has done nothing but hit new records in phone sales ever since. Google's Nexus One and Palm's webOS both used this nadir of iPhone news in early 2009 to show off a new OS and faster chips. Along with various other Android licensees, these products enjoyed nearly six months of exclusive attention before the launch of the iPhone 3GS that summer. In 2010, Verizon Wireless launched a "Droid" branded initiative with Motorola to focus attention away from its lack of the iPhone, while Samsung launched its Galaxy brand to closely mimic Apple's iPhone 3GS and its marketing, packaging, accessories and even icons. Android then got six months of virtually exclusive attention until the iPhone 4 launched. In 2011, a variety of Android licensees launched multicore chips and support for LTE. Google used the "Apple quiet period" to launch Android 3.0 Honeycomb Tablets even as BlackBerry launched its own table failure with the PlayBook. 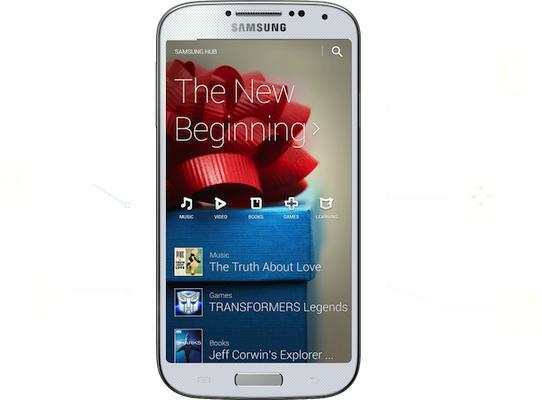 Early last year, Samsung launched its Galaxy Note phablet, followed by the Galaxy S3. HTC launched two One phones, LG the Optimus 4X HD and G, and Sony the Xperia S and T, along with hundreds of other lessor known Android models. So many companies are clamoring to be heard during the Apple quiet period that, ironically, it's rare for any to really make an impression. 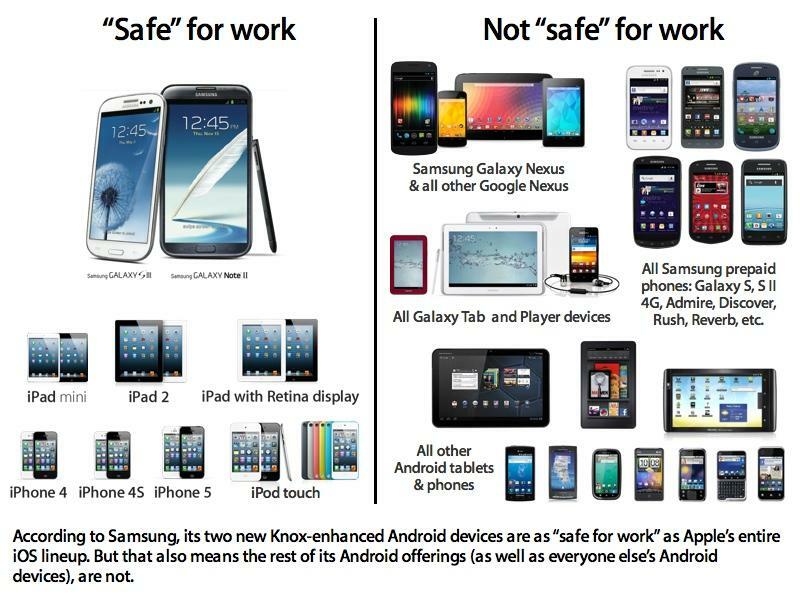 Samsung appears to be doing the best job at standing out among the Android crowd, thanks to a huge advertising budget. But it now appears Samsung wants to stand on its own, independent from Google, having launched the new Galaxy S 4 without making any significant mention of the fact that it uses Android. New software, but it's not "Android"
While some Android licensees, notably Amazon and its Kindle Fire, have drawn attention to their use of Android, Samsung appears to be distancing itself from Google's platform. Many observers have noted that Samsung's Galaxy brand already has as much name recognition as Android itself. Samsung, unlike most other Android licensees, has also launched two major initiatives to offer an Android alternative of its own, first with Bada, and most recently with Tizen (a partnership with Intel). In showing off the new Galaxy S 4, Samsung didn't draw attention to Google's search, mapping or translations services, nor even its ability to download Google Play content. It didn't feature Android apps. Instead, it featured Samsung's own store (Samsung Hub, pictured above) and exclusive new software, including the previously announced Knox security layer that Samsung has branded as being "SAFE" for the enterprise to adopt, in contrast to Android at large. In addition to Knox, Samsung detailed a variety of other software features that differentiate it from most other Android phones. These features seem to be targeting competing products of other Android makers, rather than Apple's iPhone 5. This meshes with comments made by Apple's marketing chief Phil Schiller that noted the company is seeing four times more Android users switch to iPhones than be wooed away. While the tech media has manufactured a competitive frenzy between Apple and Samsung, it appears that in reality, Samsung recognizes that its lowest hanging fruit are not Apple's.